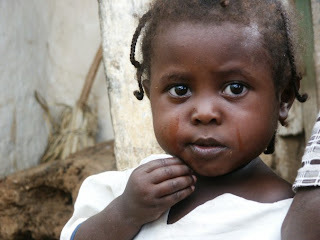 No more tears! 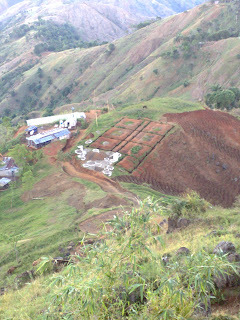 Food supplies reach our zone, and the laying of the foundations of the new school by Digicel are underway. Peanuts are ground, flour is available. See below for recent photos. 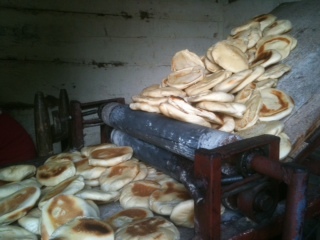 Small pita-like loaves are now baked on Mon Bouton! 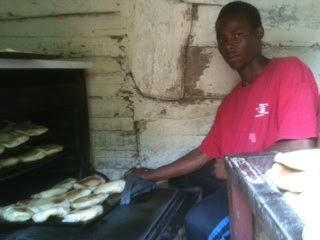 Dev, an innovator and entrepreneur, brought his stoves, manual bread rolling equipment and recipe, up to our zone. He started his business in the old school building, moved to Madame Vab's old depot...He is now the fiancee of Michaele, Madame Vab's oldest daughter, and a biznis success. And: a daughter born last week. Bon Dieu bon! 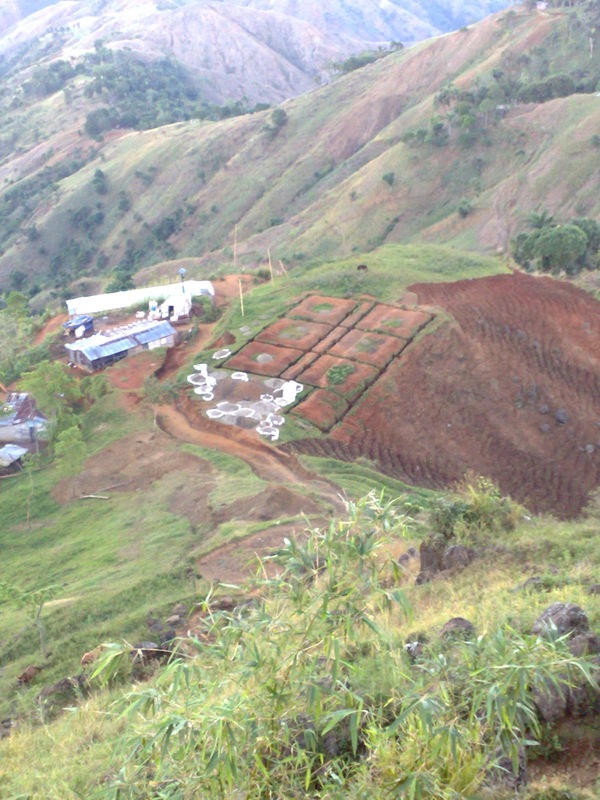 Two summer ago, we met with Digicel's CEO - who actually climbed up to visit this site! And now, with a mule team of 20 mules, building blocks, cement, sand and rebar are being moved up 4000 feet most efficiently. And yes, people are hauling and guiding mules as well - so this means paid work and engagement of our community. On-site coordination is in the hands of Paster Dieudonne Abraham. 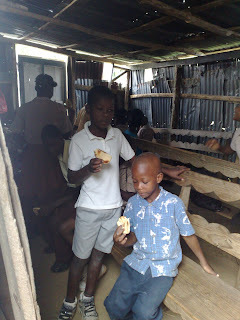 Below, one of our 3 school sites gets mamba ak pen, peanut butter and bread. Like everyone else in the zone "If Pigs Could Fly - Haiti" must degaje - make do - with whatever we have available. Good habit, and we save, recycle, re-use everything. Our team "Mama's Making Mamba" - includes some brothers and fathers as well - makes and serves the peanut butter on bread as a morning meal. We used to call it a "snack" - but the fact is, most if not all of these children have not eaten anything since the night before. The bread and peanut butter is their first meal of the day.